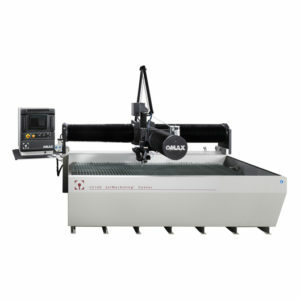 The MicroMAX JetMachining Centre is the ideal solution for ultra-precision abrasive waterjet machining. 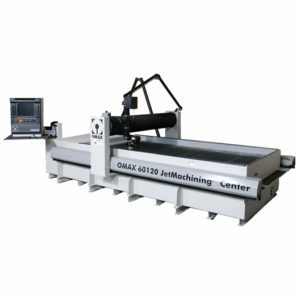 Utilising advanced high-precision optical linear encoders, innovative vibration isolation, and proven software control systems, the MicroMAX JetMachining Centre is capable of a positioning accuracy of less than five microns while retaining all the advantages of abrasive waterjet machining. 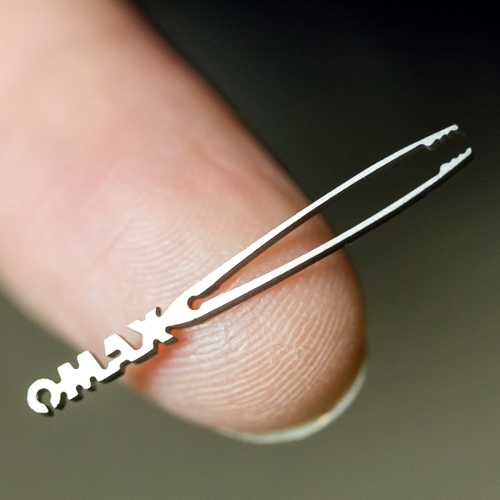 The MicroMAX can machine stainless steel, titanium, carbon fibre, PEEK, glass, nitinol, graphite, copper, composites, laminates, and more, with high precision and smooth finishing, for either prototyping or production. 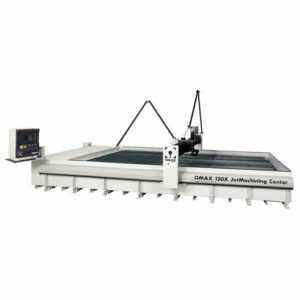 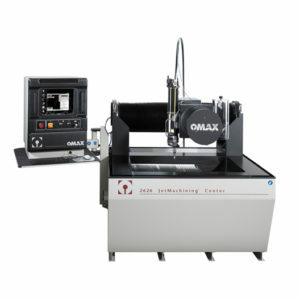 Ideal for production runs and prototype development, the MicroMAX is a highly rigid machine with a table size of 2 feet 4 inches by 2 feet 4 inches and an X-Y cutting travel of 2 feet by 2 feet. 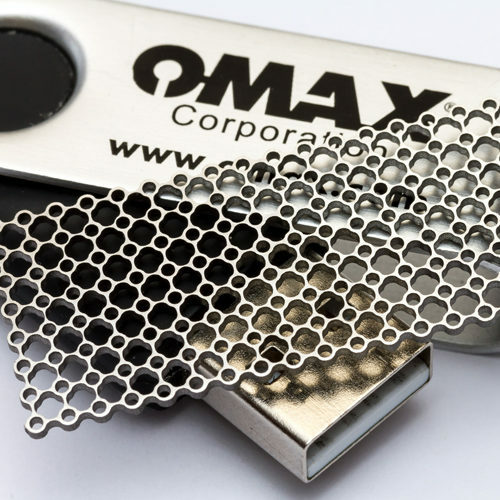 Like all OMAX JetMachining Centres, the MicroMAX is a flexible, cost-effective and beneficial alternative to conventional machining operations. 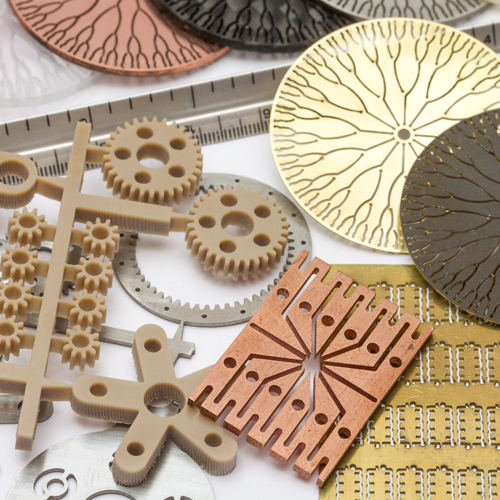 Because waterjet-based machining is a cold-cutting process, it eliminates thermal stress in the workpiece, preventing hardening and warping. 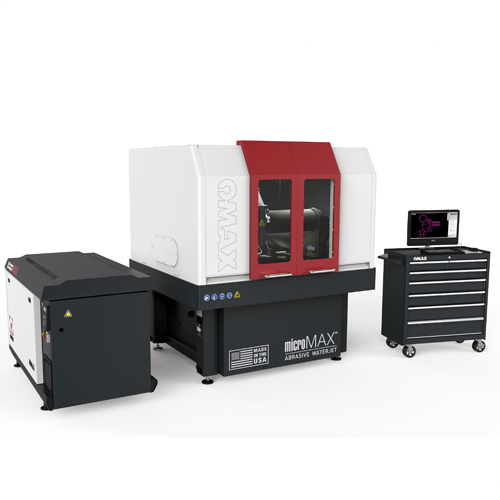 The MicroMAX also enables manufacturers across all industry segments to accomplish quick turnaround of accurate parts without the hassle of tool changes or complex fixturing, as well as achieve smooth surface finishes without the need for secondary machining.